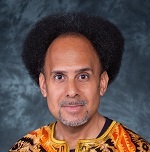 Will Guzmán is Associate Professor of Africana Studies and Director of the Lee F. Hagan Africana Studies Center at New Jersey City University. He is the author of “Civil Rights in the Texas Borderlands: Dr. Lawrence A. Nixon and Black Activism” (University of Illinois Press). His current research is on the life prominent Afro-Latino Civil Rights Attorney Raymond A. Brown; and the Black Power Movement in Florida.